Community Choice Energy on the Agenda! 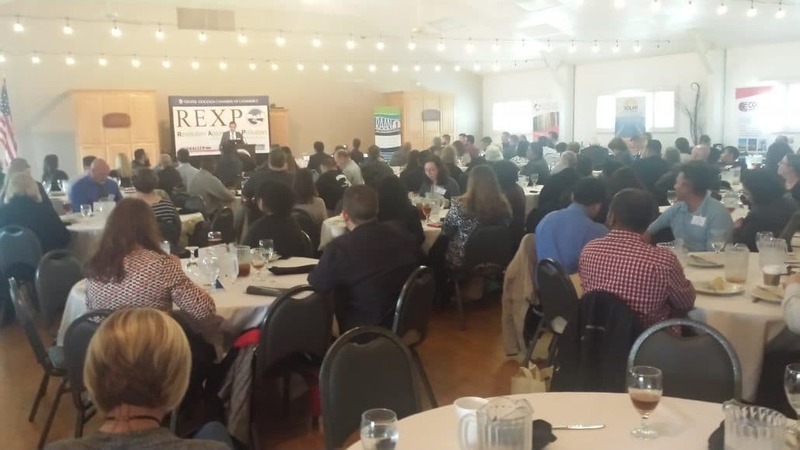 In March over 150 attended the annual event of the Stockton Chamber of Commerce’s Green Team – the REXPO “Revolution Against Air Pollution” which drew movers & shakers from all points in and around Stockton and other parts of the Central Valley and beyond. 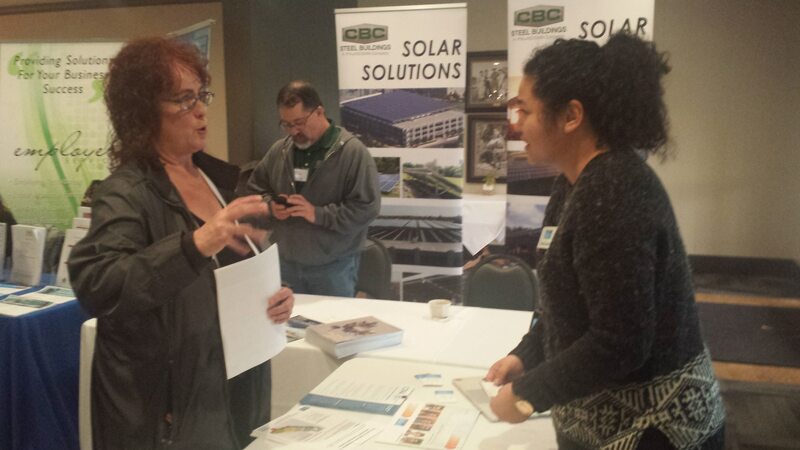 The Center for Climate Protection was there with an information table and a spot on the agenda to address the attendees about Community Choice Energy. Much interest and enthusiasm was generated. Representatives from the Environmental Protection Agency and the San Joaquin Valley Air Pollution Control District were on hand to share the latest about their many challenges. Companies like Solar Optimum, celebrating ten years of supplying solar energy to residential, commercial, and industrial customers, and Envision Solar were on hand to share their products and projects. A highlight was a presentation by Envision Solar about their unique system whereby local governments and other customers can quickly and relatively easily install solar-powered electric vehicle charging stations with very little in the way of permitting, engineering, trenching, etc. Also on hand was Dibs, an innovative firm that that facilitates “Smart Travel” means getting to work, school, etc., with other people in carpools or vanpools, or by other smart ways such as transit, walking or biking to decrease traffic and pollution. To find out more visit Green Team San Joaquin and the Center for Climate Protection’s Central Valley Page at its Clean Power Exchange website that is dedicated to news and information about Community Choice Energy.